pandoIQ is an AI-enabled programmatic job advertising platform. What does that mean exactly? We not only fully automate the job advertising process but also make smart budget decisions enabling you to source applicants faster, smarter and more efficiently. Simply put we make job advertising effortless, freeing up your time to focus on other priorities in your recruitment process. 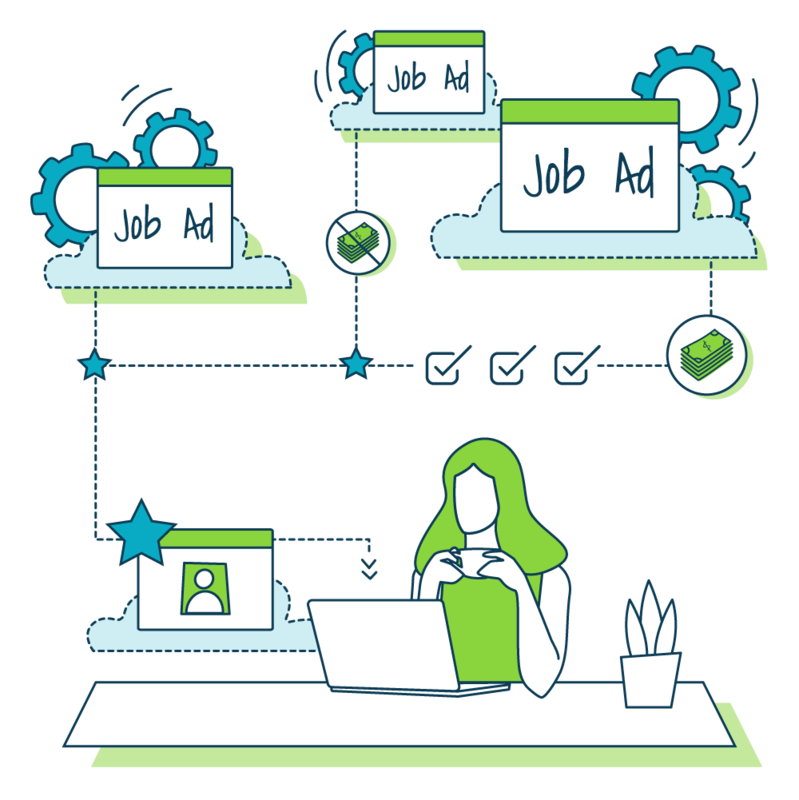 Eliminate inefficiencies and manual tasks inherent to job advertising with a fully-automated, data-driven platform. Get more applicants for your dollar and eliminate wasteful spending with AI-enabled campaign optimization. Reach a vast audience on our recruitment ad exchange made up of 1000's of leading job sites, search engines and social networks. Receive applicants fast with precision targeting that reaches the right candidates on the right sites at the right time. Say goodbye to rules-based trial and error spending based on human input. Predictive analytics, big data and proprietary algorithms make the best bids and budget allocations automatically. Consolidate your spend into a single performance based platform that eliminates the hassles and guesswork linked to managing multiple vendors.